Do You Have a Horse in Work That Goes Off Its Feed? We all know horses need salt, but you can feed too much of a good thing. And the thing with salt is, when a horse needs it, it tastes really good. But when they are getting too much, their ‘sodium intake regulation system’ (I just made that up, sounds about right though hey!) makes it taste bad. The result being they will reduce their feed intake… or they might completely stop eating feed with salt in it so they don’t eat too much salt. Which is a problem if you have a performance horse that NEEDS to eat so he can work to the best of his ability for you! If you suspect this might be happening, the easiest solution is to stop adding any salt or electrolyte to your horse’s feed. If too much salt was the cause of your horse going off his feed, appetite should return really quickly once his feed is no longer salty. The other possibility is that your horse has ulcers. Have you ever put salt on an open wound? It hurts… a lot! So imagine if your horse has ulcers (i.e. open wounds in his stomach) and you feed him something salty… it could be reasonably expected to cause pain. And if something hurts you when you eat it, chances are you would stop eating it pretty quick. So if your horse has ulcers you may need to moderate salt intake. Trick is you still need to meet his sodium and chloride requirements. Here is where FeedXL can really help. FeedXL will show you how much sodium and chloride is in your horse’s diet and how much salt (if any) you should be adding. So with FeedXL you add just enough to meet requirements, but no so much you will put your horse off his feed. 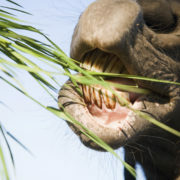 https://feedxl.com/wp-content/uploads/2010/04/Horse-eating-grass.jpg 2200 3300 Dr Nerida Richards https://feedxl.com/wp-content/uploads/2017/08/FeedXL-header-logo-300W.png Dr Nerida Richards2017-12-20 16:34:352019-02-16 06:21:29Do You Have a Horse in Work That Goes Off Its Feed? Daily heart rate measurements should be a fundamental part of the day-to-day management of equine athletes. In this newsletter we will discuss the fitness of the horse, with “fitness” referring to the aerobic fitness of a horse and how fitness can be determined using measurements of heart rate at the trot. Aerobic fitness refers to the capacity of a horse to transport oxygen from the air, through the lungs and then be pumped by the heart through the blood to provide the muscle cells with the oxygen to support metabolism of fuels such as glucose and fat. Aerobic fitness is relevant to every equine competition, except perhaps Quarter Horse races, which are all over in less than 20 seconds. Heart rates (HRs) in a resting horse cannot be used to reliably assess fitness, as they are in human athletes. In human athletes, the resting heart rate, usually recorded first thing in the morning, gradually decreases with improved fitness. However, this technique is not reliable in horses because the resting HR can vary so quickly with the slightest disturbance to a horse’s relaxed state. For example, a very relaxed horse might give a heat rate of 30 beats per minute (bpm), but a few minutes the later the HR can be over 100 bpm, due to fear, sudden noise, excitement, or even anticipation of exercise. This does not mean that resting HRs should not be recorded. In very relaxed horses, such as some endurance horses, a sudden increase in resting HR at rest can alert the trainer to a potential problem, such as a fever, pain, or other disturbance to the horse’s normal state. The best way to simply assess fitness is to use HR measurements during exercise. The key is to measure HR and speed in the horse. This is best done by using a heart rate monitoring system like the Polar RS800G3 for ridden horses that combines HR measurement with speed measurement by global positioning system. I am happy to provide advice concerning the best system for your particular circumstances. Good systems can be purchased for less than $1000. It is important to measure speed, because not all horses trot at the same speed, and it is possible for the trot speed to differ a little from one day to the next. So the first fundamental measurement is speed, and then to assess the HR at a steady speed. Steady speed means a speed that is constant, not varying more than 1-2 kph, for at least 30 seconds. 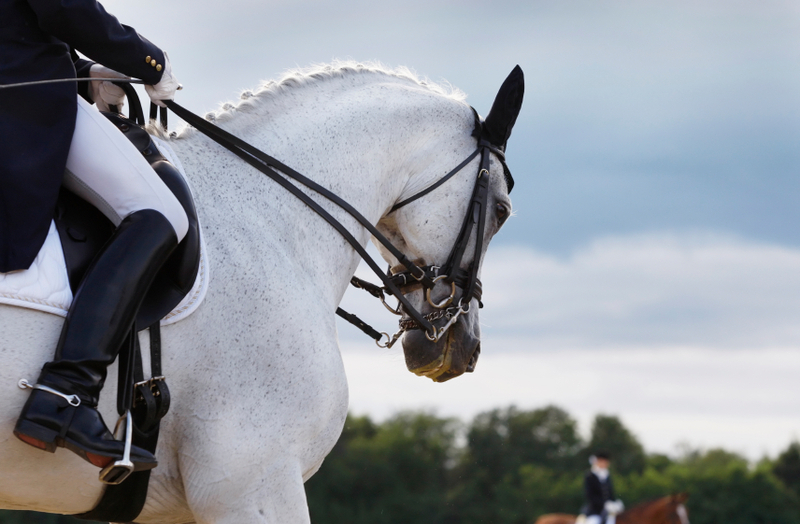 Luckily, with the heart rate monitoring systems now available it is possible for riders and trainers to measure heart rate and speed during exercise in ridden (or driven) horses whenever they desire. 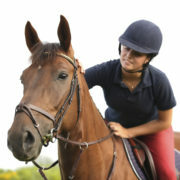 The Polar RS800G3 for ridden horses measures HR and speed frequently, and the results can be easily downloaded to a computer for closer inspection. HRs at the start of trotting should be ignored for a few minutes because there is usually unstable HRs, due to excitement and the sudden disturbance to the cardiovascular system. In these first few minutes, HRs are usually higher than their true steady state HR. After a few minutes, the HR settles down. For example, HR might vary from 140-160 bpm in the first few minutes, and then settle down to a steady value in the range of 125-128 bpm, even though the horse has been trotting at 16 kph all the time. If the HR does not settle down to a steady value, it probably means that the horse is excited. HRs on a day after the horse has not been exercised are often a little higher and more variable, due to excitement. These emotional disturbances are what make fitness testing of horses so challenging, but it is possible to measure fitness reliably if these factors are accounted for. It is always important to watch the horse carefully during the trotting HR test. Is it jumping around abnormally, or is there a new rider on-board? Anything that might disturb the horse from its normal state needs to be accounted for. 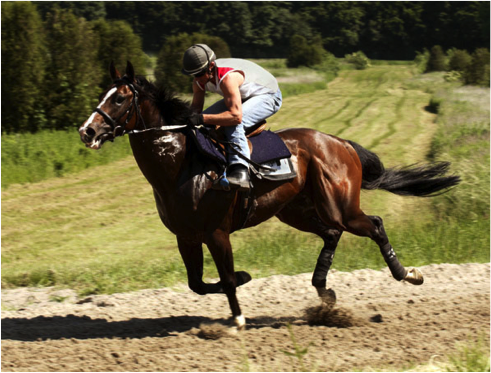 HRs during trotting can also be affected (usually abnormally increased) by different ground conditions, the use of a different saddle, riding hills, and so on. So it is very easy to record a false high value. When I examine heart rate data I look at the speed and HR record and look for the lowest HRs at the steady speed. I also test the horse several times before expressing confidence about the true result for each horse. If a horse’s HR relationship to its trotting speed is regularly monitored it will be easy to observe trends over time, or even sudden changes. A gradual decline in HR at the same speed means that the horse is responding to training – it is getting fitter. An alternative might be that the horse is slimming down, and so it does not have to increase its HR so much to provide the oxygen needed for the trotting exercise! What does it mean if heart rates increase over time? A gradual increase in heart rate over time in a horse in training would be an unusual finding, but it could be explained by increased fatness of the horse. A gradually worsening respiratory problem could also cause HRs to increase. A sudden increase in HR from one day to the next when trotting could mean that the horse was overly excited on that day, had developed a problem causing pain (such as a bruised foot), or had new gear that was not comfortable. Monitoring HRs regularly helps a trainer know when the problem occurs, and when it is resolved. Measuring the trot HRs in the days after racing or competition is also a valuable method of assessing the recovery after a race. They should be the same as before the event or race. Higher HRs compared to before the race or competition could mean that the horse has a problem that needs investigation by a veterinary surgeon. The technology is now available for all horse riders and trainers to regularly monitor HR during trotting. Each day of trotting offers an opportunity to make sure that the horse is responding to training as expected, has not developed any new problems, or has suitably recovered after competition or racing. 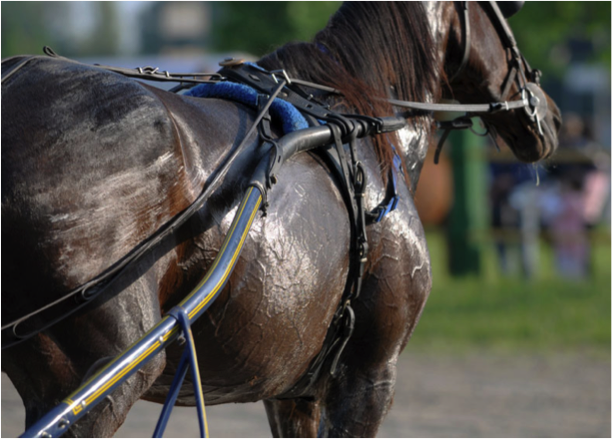 Comprehensive tests of fitness for intensive competitions, such as racing and eventing, should include assessments of the HR responses during trotting, as well as measurements of HR and speed during faster workouts. However, day-to-day assessments during trotting are fundamental to the day-to-day monitoring of all athletic horses. Dr David Evans graduated BVSc (Hons) in 1975 and spent seven years in veterinary practice prior to completing a PhD in equine exercise physiology at the University of Sydney in 1987. His current consultancy activities include university teaching and research in aspects of equine science. Dr Evans has contributed to 11 book chapters on aspects of equine exercise physiology, and to more than 80 refereed research publications. Many of these reports are concerned with aspects of fitness testing and scientific aspects of training and performance. As well, he continues work in Australia and overseas as a consultant to horse owners and trainers, with a focus on practical applications of the science of equine fitness measurement and training. Horses in modern day society travel a lot. In fact it is amusing to think that throughout history, a horse’s most basic function was to transport humans from point A to B, and yet now we spend so much time and money transporting them. 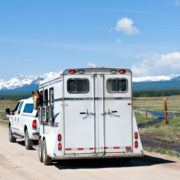 Transport for horses can be stressful, both physically and mentally. But as with all things, having a well prepared horse at the start of a journey means you have a far better chance of having a healthy horse at the end of the journey. Feeding and nutrition have a big role to play, both in preparing horses for a journey and keeping them healthy and content during the journey. 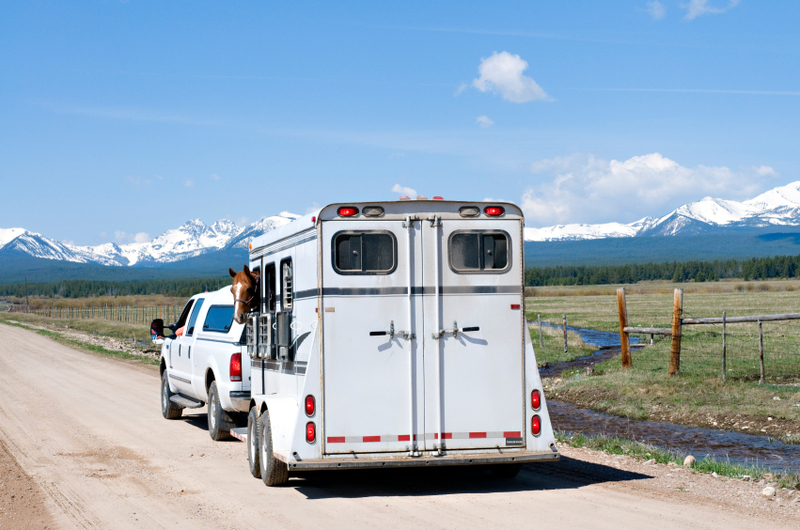 The following article provides help with feeding before and during travel with horses. If you will be travelling less than 4 to 6 hours there is little need to do anything special before a trip aside from ensuring your horse is healthy and well fed prior to the trip and will have suitable feed and water available as soon as the journey has ended. Increase the forage component of the ration – Forage is valuable to a travelling horse because it holds a large reservoir of water in the gut that can be used to keep the horse well hydrated during a long journey. 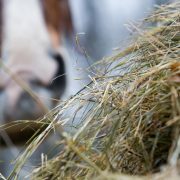 Forages like hay and haylage are also a wonderful source of potassium and magnesium, two important electrolyte minerals. Feeding additional forage in the 2 to 3 days leading up to a long trip means your horse’s gut will be full of water holding, electrolyte rich fibre to help them get through long haul travel without becoming dehydrated. Additional forage also helps provide extra energy to reduce weight loss during a long trip. Moderate protein intake – Diets high in protein lead to an increased excretion of urea in the urine which is then converted by bacteria to ammonia. When confined in a transport situation, be it road or air transport, this ammonia accumulation in the air can damage the airways and lungs. To avoid large amounts of ammonia in the air, the amount of protein in the diet needs to be moderated. If your horse is on a diet with large amounts of lucerne hay or high protein pasture or feeds it is a good idea to reduce protein intake for 7 to 14 days before a long journey. Swapping some lucerne hay or high protein pasture for oaten or grassy hay and switching to a lower protein feed can help to achieve this. Use FeedXL to calculate your horse’s exact daily protein intake and reduce it where possible without compromising the quality of the diet. Reduce grain intake – High grain diets fed right up until a horse is transported can in some situations cause problems. They may lead to fractious behaviour and unnecessary stress during travel, they can precipitate tying up in susceptible horses and they also reduce gut fill and the amount of fibre a horse will consume. Reducing a horse’s grain intake by half for 2 to 3 days prior to travelling and increasing high energy fibre (see below) and forage intake will help to keep horses calm during travel, reduce the risk of tying up and maintain good gut fill and water storage in the gastrointestinal tract. Add high energy fibres to replace grain – some horses will lose weight if you reduce their grain intake. Many horses travelling long distances are also required to perform at a high level at the end of a journey, so maintaining energy intake is crucial. If you reduce grain intake, consider replacing the amount of grain removed from the diet with a high energy fibre. High energy fibres maintain energy intake, but also assist with water holding and maintaining gut fill. Work out your ‘water strategy’ – horses are notorious for not drinking at the most critical times, and during travel is no exception. Our equine friends often have no hesitation in turning their noses up at a bucket of water offered during travel, especially if it smells or tastes different to their water from home. Getting your horse to drink is critical during a long trip so you need to work out how you are going to achieve that. Taking your own water, using a flavour in the water so it tastes and smells the same regardless of where it comes from or using an electrolyte supplement to stimulate thirst are all possibilities.Whichever you choose, get your horse used to what and how it will be drinking at home prior to travel. If you will be taking your own water, start putting water in the bucket your horse will be drinking from while on the road and have it drink out of that for 4 or 5 days before you leave. If you are going to use a flavour, add it to your horse’s water for several days prior to the trip and again use the bucket you will use during travel. If you are going to use an electrolyte, talk to your vet or the product’s manufacturer about the best strategy in administering an electrolyte. Remember, never give an already dehydrated horse an electrolyte. And once you do administer an electrolyte, allow your horse free access to fresh water for at least 1 to 2 hours. If you are travelling more than 4 to 6 hours you should plan to stop every 3 to 4 hours to allow horses access to water and feed. Keep your horse’s feed routine on the road as close to what he would be fed at home as possible. So if you feed a hard feed morning and night with forage during the day, stick to this same routine. Ideally horses should be allowed access to hay or haylage while travelling during these longer trips. If you are feeding hay, it should be thoroughly wet (submerse it in water for 5 to 10 minutes) before being put into the feed manger or hay bag for feeding to reduce dust and mould spore contamination of the air. Where possible, hang the hay feeder low so the horse has to put its head down to reach the hay, but be sure to attach it to the transport vehicle in such a way that should the horse become entangled it will break free easily. Any type of hay is suitable for feeding during long trips, though feeding a small amount of lucerne hay at each rest stop may help to provide better buffering of the stomach and reduce the risk of ulcers, which can be a problem for some horses travelling long distances. If you are travelling over multiple days and your horse needs to perform at the end of the journey, you will need to continue with feeding at least some of its normal high energy ration. As discussed above, current recommendations suggest the amount of grain based feeds fed should be halved during travel days. If weight loss is an issue for your horse during travel you should add high energy fibre to its diet to replace the energy removed from the diet when the grain is reduced. Monitor rectal temperature twice daily for 2 days prior to a long trip to establish your horse’s normal rectal temperature patterns and ensure your horse is healthy at the beginning of the trip. Monitor feed and water intake for 2 days prior to travelling to determine your horse’s normal feed and water intake amounts and patterns. Once your journey is complete, again monitor rectal temperatures and feed and water intake for any sign that your horse may be getting sick. The faster you recognise any symptoms and have your horse treated the less likely serious complications will arise. Stop every 4 to 6 hours for at least 15 to 30 minutes to allow your horse’s muscles to relax and have a break from constant movement. If possible, it is ideal to unload horses during these rest stops and allow them to put their head down and feed for 15 to 20 minutes to help clear their airways and reduce the risk of pleuropneumonia or travel sickness. Allow your horse a minimum of 6 to 8 hours of untied rest every 8 to 12 hours of travel and during this time feed your horse from feeders placed at ground level to keep their heads down and facilitate the clearing of inhaled debris and microorganisms from their respiratory system. Allow a minimum of 12 hours of untied rest with as much feeding at ground level as possible at the completion of the journey to allow your horse to completely clear its respiratory system before any sort of strenuous physical activity is undertaken. 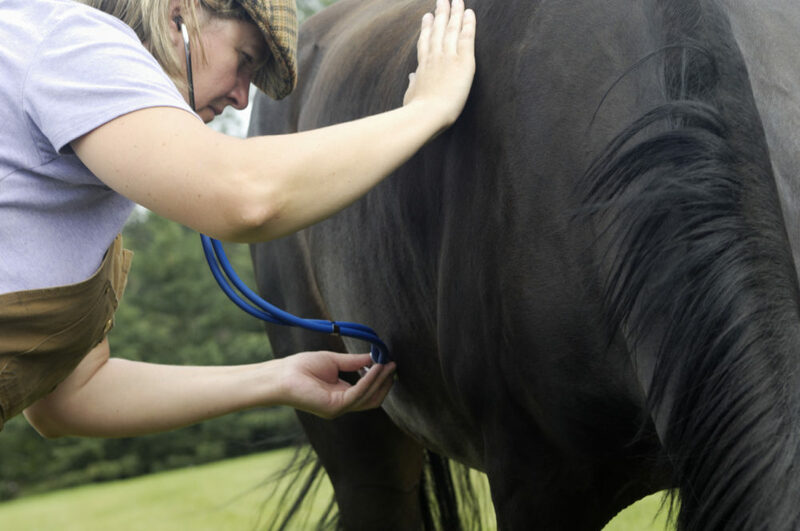 Working horses before they have a chance to clear their respiratory tract will increase the risk of pleuropneumonia. Be very careful not to overheat your horse during travel. It is our tendency to want to rug horses up and keep them cosy while travelling, but this can do far more harm than good if they get overheated. Overheating causes them to sweat, losing valuable water and electrolytes. It also makes travelling very uncomfortable. Remember that travelling does take quite a lot of physical effort for a horse so they can get very hot quite easily. Avoid the ‘head-up’ position during travel as much as possible. Avoid cross tying horses and where it is safe to do so, allow horses the ability to stretch their heads right down to ground level to allow them to clear their airways. Being well prepared with a healthy horse that is set up well to travel means you will have a very good chance of having a horse fit and ready to do what is required of it at the end of a journey. Subtle changes to the diet to increase forage and fibre intake, moderate protein intake and adjust grain or grain based feed intake all help to keep your horse content, healthy, well hydrated and at less risk of dehydration, impaction colic and injury or sickness during travel. Taking adequate time to complete a journey, giving your horse regular rest stops and allowing it to feed in a head down position for good periods of time to clear its airways will also significantly reduce the risk of your horse developing pleuropneumonia. And of course, FeedXL will help you to make the required changes to a travelling horse’s diet without upsetting the diets balance which could cause you to unknowingly create other issues. This newsletter by Dr. Nerida Richards was originally posted to the FeedXL user forums for FeedXL subscribers in June, 2013. If you would like to be among the first to receive our newsletters then please consider becoming a FeedXL member or subscribing to our email list. When horses exercise they burn up stored energy supplies, damaging muscle tissue and losing water and electrolytes via sweat. Feeding after exercise is important to replenish these energy, water and electrolyte stores and provide protein for muscle repair. Failure to do so can result in reduced performance, muscle wastage and slow recovery times. What you feed, how you feed it and when it is fed all play a role in determining how effectively you replace what your horse uses during moderate to high intensity exercise and how quickly they will recover. When a horse exercises, its muscles use glycogen (glucose that is stored by the muscles), fatty acids and some amino acids as fuel. During fast sprint type, high intensity work, muscles operate under anaerobic (no oxygen) conditions and primarily use glycogen as an energy source. Under slower, low to moderate, intensity work the muscles will primarily burn fatty acids for energy under aerobic (oxygen using) conditions, saving muscle glycogen supplies for when it is needed for high intensity work. If muscle glycogen supplies are depleted, the horse quickly becomes fatigued. Therefore it is important that after exercise, muscle glycogen supplies are replenished, otherwise the next time the horse exercises it will start with less glycogen on board and will reach a state of fatigue faster. 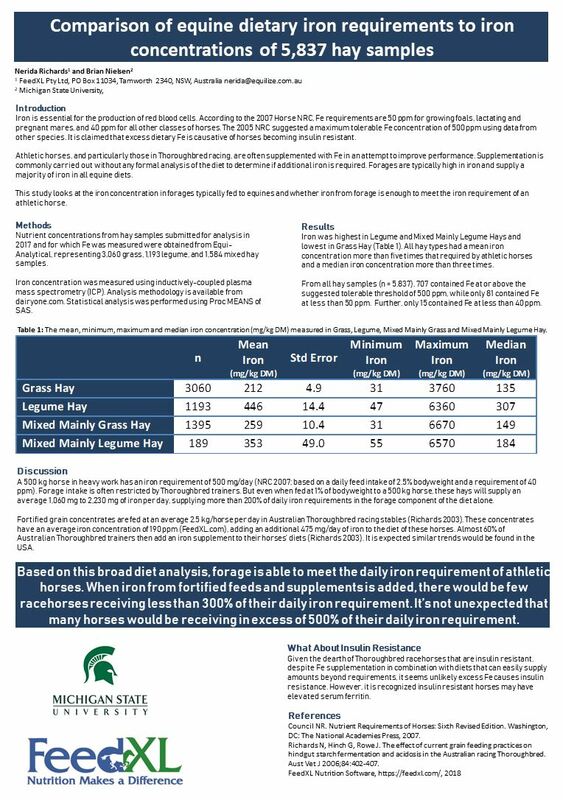 The fastest way to replenish glycogen supplies in equine athletes is to feed a grain‐based meal following exercise. Grains contain starch, which is digested and absorbed as glucose and this glucose is directly used to replenish glycogen supplies. The grains fed should be cooked (either extruded, micronised, steam flaked or boiled) to maximise their small intestinal digestibility (so more of the starch can be digested and absorbed as glucose). A grain‐based meal should be fed within an hour of completing exercise. Once the horse has returned to a near normal respiration rate and started to cool down the meal can be fed. If the horse has completed its exercise for the day it can be fed its normal morning or evening feed at this time. If you are still taking part in competition (for example you are at a vet check point in an endurance ride) you should limit the meal to 200 g of grain per 100 kg of bodyweight (or 0.2 lb per 100 lb of bodyweight) so that you don’t induce a large increase in blood insulin levels (as discussed in Newsletter #16). The horse’s normal ration of hay and/or pasture should also be made available immediately following exercise. If your horse cannot have grain in its diet or does not have grain as part of its normal daily ration you must not use grain to replenish glycogen supplies following exercise. Instead, these horses should just receive their normal non‐grain ration. It may take these horses longer to recover from very heavy exercise and as such they may not be capable of sustaining the workloads required for intense sports like horseracing, endurance and polo. If your horse is overweight or lightly worked it isn’t necessary to replace glycogen supplies following work. The focus for overweight horses should be to burn calories and lose weight. Following exercise, their body will gradually replace any muscle glycogen that was burnt during exercise using other sources of energy like propionate, a volatile fatty acid absorbed from their hindgut that can be turned into glucose. Feeding grain after exercise will only serve to slow weight loss progress and may even cause weight gain. Overweight horses are also unlikely to exercise at an intensity that uses up any significant amount of glycogen. Likewise it is unnecessary to replenish glycogen supplies by feeding a grain meal following exercise in horses that are only lightly worked or horses that are only worked a couple of times a week. These horses are unlikely to burn much glycogen and/or they have plenty of time to easily replace what they did use before their next bout of exercise. 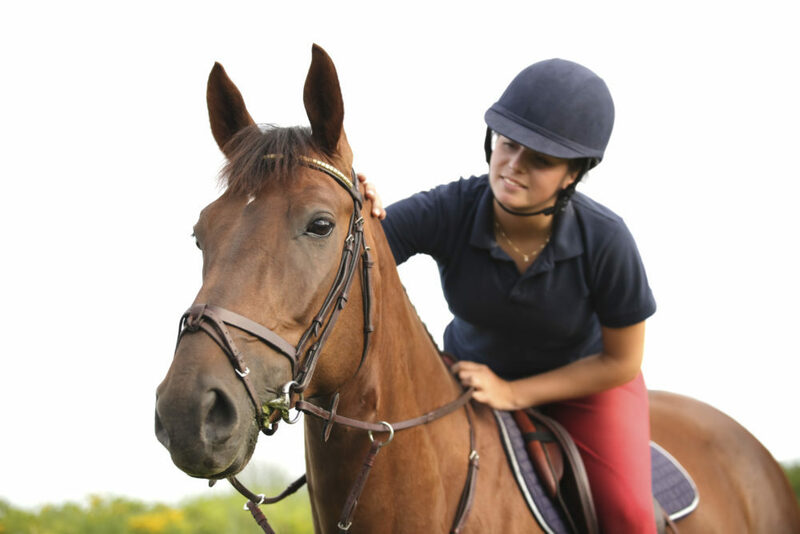 During exercise a horse’s muscles experience multiple little rips and tears that have to be repaired. The muscles also need to grow, strengthen and tone so they can cope with the work required of them. Ensuring crude protein and lysine requirements are met according to FeedXL will mean your horse’s muscles have access to plenty of amino acids to repair and grow, however supplying high quality protein in the form of whey protein concentrate immediately following work (within the first 15 minutes of finishing exercise) may help lightly muscled horses build muscle bulk faster. Whey protein provides rapidly absorbed amino acids that first feed a horse’s muscles, second signal to them to slow or stop the muscle breakdown process that occurs during and following exercise and finally, provides muscles with the building blocks they need to grow and strengthen. Dose rates of 10 to 20 grams per 100 kg of bodyweight of whey protein concentrate are commonly used. There are also equine specific whey protein and other high protein supplements available for this purpose. Timing is critical for these supplements to be effective; it must be given immediately after exercise (as opposed to giving it with the next meal). There has been much debate over the years about when to allow a hot horse to drink water following exercise, with the common perception being that allowing a hot horse to drink causes colic. While you may wrestle with whether to let your horse drink immediately following exercise I would urge you to use your common sense and knowledge of your own horse. If your horse wants to drink following exercise and doesn’t seem to suffer any ill effects, then I would suggest allowing him to drink, as the positive effects of rehydration will be far greater than the benefits associated with not allowing a horse to drink until it is completely cooled. Drinking water will also help to lower a horse’s core body temperature following exercise. Offer cool water that is at a temperature that is comfortable for you to hold your hand in (i.e. not too cold). If you horse is a real guzzler, get him to take a few small breaks when drinking. If you have observed your horse get colicky after a big drink then it would be wise to allow access to water gradually after exercise. But if your horse drinks with no ill effects there is no reason to withhold water following exercise. 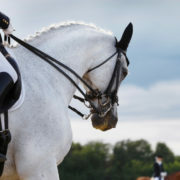 Research has also shown that giving slightly salty water (which you can make by adding up to 9 grams of sodium chloride, which is common table salt, per litre to your horse’s water) as the first water your horse has access to, followed by giving access to plain water aids in achieving high fluid intakes and faster rates of rehydration. When horses sweat they lose large amounts of the electrolyte minerals sodium, chloride and potassium. They also lose smaller amounts of magnesium and calcium. These minerals lost in sweat must be replaced to allow full rehydration and normal sweating and muscle function in subsequent bouts of exercise. Ensuring that your horse’s requirements for sodium, potassium and chloride are met according to FeedXL and making sure your horse has free access to a salt lick is adequate to ensure electrolyte repletion on a daily basis. 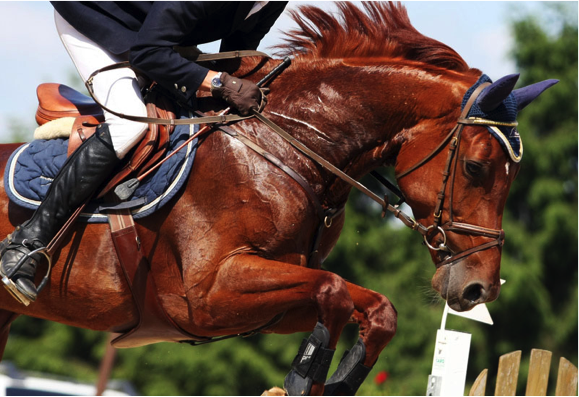 Under intense workloads (for example endurance) or when horses are working in very hot and humid conditions you may need to consider using a specially designed electrolyte replacer for horses. When selecting an electrolyte replacer for your horse, read the label of the available electrolyte supplements carefully. Be wary of products that contain less than 800 grams per kg of actual electrolytes (sodium, potassium, chloride, calcium and magnesium). Some products on the market are more than 50% ‘filler’ (usually dextrose or glucose) which is of little benefit to the horse as part of an electrolyte replacement program. Some glucose is necessary for the effective absorption of sodium, but glucose should represent no more than 10% of an electrolyte supplement. The use of electrolyte replacers is a large and relatively complex topic that deserves a dedicated FeedXL newsletter. Failure to replace what a fit horse in moderate to high intensity work uses during a bout of exercise will mean that the horse gradually becomes less and less able to complete the work required of it. Using a digestible cooked grain based feed in the first hour following the completion of exercise will restore muscle glycogen supplies. Feeding a high quality protein supplement like a whey protein concentrate within 15 minutes of the completion of exercise will feed the muscles and allow them to repair and strengthen. Providing access to water, and initially slightly salty water following exercise will allow your horse to rehydrate itself. And finally, ensuring dietary requirements for the electrolyte minerals sodium, chloride and potassium are met according to FeedXL will allow your horse to replenish electrolyte minerals lost during exercise as it eats its normal daily ration. This newsletter by Dr. Nerida Richards was originally posted to the FeedXL user forums for FeedXL subscribers in September, 2010. If you would like to be among the first to receive our newsletters then please consider becoming a FeedXL member or subscribing to our email list. Empty stomach or full stomach before exercise? Therefore, if a horse is stabled without constant access to forage, or if it has been more than 2 hours since the horse last grazed or fed, you should feed your horse before exercise. A small feed will protect a horse from gastric ulcers in 2 ways. Chewing the feed will stimulate saliva production and saliva acts as a buffer in the stomach. And the feed will fill up the stomach and prevent gastric acids from splashing around (for more information on Gastric Ulcers you should read FeedXL Newsletter #8: Avoiding Gastric Ulcers). What you feed before exercise is very important. You should only feed forage before exercising your horse and preferably long stem forage like hay. Hay requires a lot of chewing and will stimulate plenty of saliva production which provides good buffering protection for the stomach. 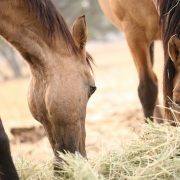 While any forage that forms parts of your horse’s everyday diet is acceptable, if you are concerned about gastric ulcers in your horses, alfalfa (lucerne) hay has been shown to be helpful when it comes to preventing or resolving ulcers, so if alfalfa hay is available and is fed as part of your horse’s normal diet, this would make a good choice for a pre‐ride or exercise feed. How much hay should be fed? While you don’t want to give your horse a very large feed of hay before exercise you do need to feed enough to provide some fill in the stomach. Depending on when your horse was last fed, you should feed between 200 – 300 g/100 kg (0.2 – 0.3 lb/100 lb) of bodyweight, using the larger meal size if your horse hasn’t been fed for 5 or more hours and the smaller meal size if it has been 5 hours or less since your horse’s last meal. What should not be fed before exercise? Never feed grain within 4 to 5 hours of a ride or exercise, and that includes any feed that is high in starches or sugar. The starches and sugars in these feeds are absorbed from the small intestine largely as glucose, which triggers the release of insulin from the horse’s pancreas. Blood glucose and insulin levels following a grain feed generally peak at 2 to 3 hours following a meal and return to normal within 4 to 5 hours. Insulin is a hormone that instructs the horse’s muscles and organs to store away glucose. So if there is insulin in a horse’s blood when exercise starts, the horse isn’t able to mobilise glucose stores to burn and fuel the muscles during work (because insulin is there telling the muscles to store all the glucose away). The horse’s ability to burn fat as an energy source is also reduced when insulin is present. The result of feeding a grain or high starch and sugar feed too close to when the horse is exercised is the horse that will run out of muscle energy supplies and fatigue quickly. This concept is particularly important for high intensity exercise where a horse’s glucose supplies are burnt up very quickly. In endurance type activities, large grain meals should not be fed within 4 to 5 hours prior to the start of exercise, however smaller grain meals may be fed during exercise to top up muscle glycogen stores and prolong the time to fatigue. Horses are constant feeders so they should, in theory, always have a full stomach. Feeding a small meal of hay just before exercise, particularly if it has been 2 or more hours since a horse’s last feed, will stimulate saliva production and provide fill in the stomach to protect the stomach from gastric ulcers. In contrast, grain or any feed high in starches or sugars should not be fed within 4 to 5 hours of exercise as these feeds trigger an insulin response which then stops a horse from mobilising the muscle glycogen and fat stores it needs to fuel muscles during exercise. And this will result in your horse tiring quickly. This newsletter by Dr. Nerida Richards was originally posted to the FeedXL user forums for FeedXL subscribers in July, 2010. If you would like to be among the first to receive our newsletters then please consider becoming a FeedXL member or subscribing to our email list.